Student Conor Nolan explains why Griffith College’s blended learning programme changed his life. TWO AND A HALF years ago, Conor Nolan was watching his friends and most of the people he knew finishing the final year of their degree, putting on their gowns and graduating. He on the other hand, had opted for full-time employment. While I felt lucky for my job, I knew that it would be hard to ever get a similar job again without a degree. I’d be starting from square one and probably have to do an internship first, regardless of my experience. In the industries of technology and marketing at least, Nolan says that a degree is usually seen as a qualifying factor – something that he unfortunately didn’t have on his CV. Like many others, Nolan says that at the time, he wouldn’t realistically have been in a position to study full-time without a job to support himself. I thought I might be able to do a part-time business course, but physically trying to get to campus after work a few times a week would be a nightmare – I knew I’d be miserable. But then Nolan heard about Griffith’s blended learning programme, which allows students to take each course in their own time, using recorded lectures they can catch up on. This meant that not only could he do it from anywhere in the world, it would match the time he could afford to give up each week. Once I realised my only physical commitment would be the occasional workshop on the weekend, we both quickly realised it would really help my progression. It’s the only way I could have earned a degree while still progressing in my career. By the time I finish, I’ll have a level 8 Bachelors in Business and years of experience in a global marketing company. It would have taken me seven years to achieve what I’ve gotten in four. These days, Nolan is in work from 9am-6pm each day and spends about two evenings a week watching lectures, and every second Saturday or so working towards an assignment or catching up on a topic. 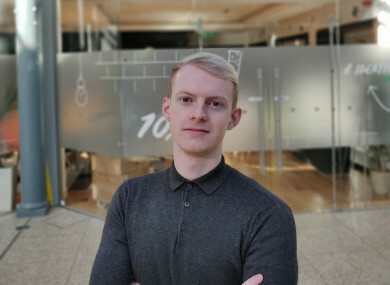 Nolan explains that practical information was key in his choice of course: “I deliberately chose business as it’s omni-applicable.” For Nolan, having the theory behind what he’s picked up with experience has allowed him to feel more confident at work. I wouldn’t have done any financial management or accounting in my previous education so it was really lacking. Studying those modules brought me up to speed and made me way more confident at work. It can be challenging when both hike up at the same time but the idea that you can always revert back to lectures means that you’re never feeling overwhelmed or that you can’t catch up. If you’re thinking about taking on a blended learning degree, Nolan shares that planning is everything: “I know timetables aren’t the most exciting but you can dedicate specific time every week to watch lectures”, which he says in practice, isn’t that much of a time commitment. Once this is in place, Nolan says that, “you don’t have to become a hermit or social recluse” to study, and that the course group actually offers a lot of support in itself. Talk to people on your course, it helps to have a support network that are also studying and to share your worries with people who are also managing a lot of responsibilities. Once he graduates in two years’ time, Nolan says he will “absolutely” be in a much better position to progress his career, and hopes to one day do a masters degree in marketing. Always wanted to study something but not in a position to leave your job to do it? Griffith College offers a BA (Hons) in Business Studies and a BA (Hons) in Accounting and Finance using blended learning – meaning that you can learn at your own pace, at a time that suits you. Have a look at their full range of blended courses here. Email “‘I was looking at friends graduating, thinking I'd never get to do that’”. Feedback on “‘I was looking at friends graduating, thinking I'd never get to do that’”.